Fully completed Application for Registration Form. Click on the link to download the Form and start your application. 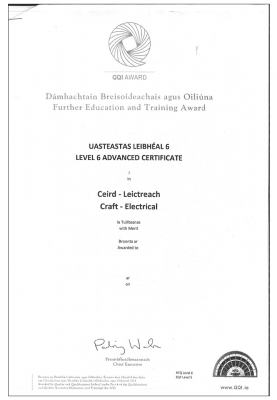 A copy of your nominated Qualified Certifier’s recognised electrical qualifications, – a National Craft Certificate (Electrical) or another suitable award, equivalent to Level 6 or higher on the National Framework of Qualifications. 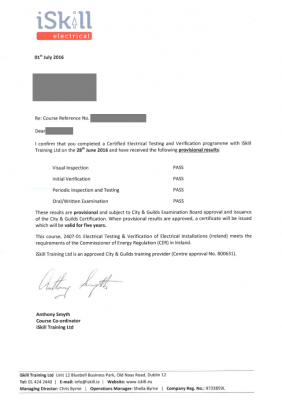 A copy of your nominated Qualified Certifier’s certification of the successfully completed “Verification and Certification of Electrical Installations” Course (V&C Course). The Certificate is valid for 5 years. 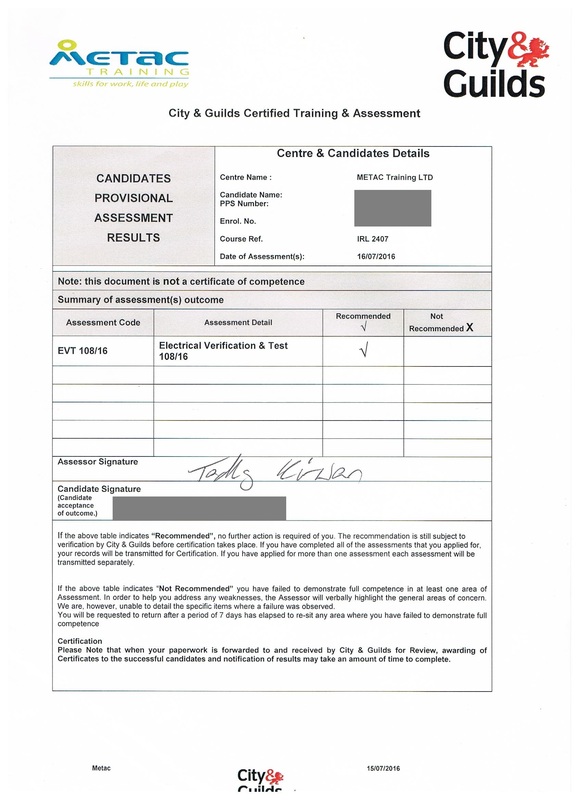 See below some samples of V&C Course certificates. Click here to view accredited course providers. 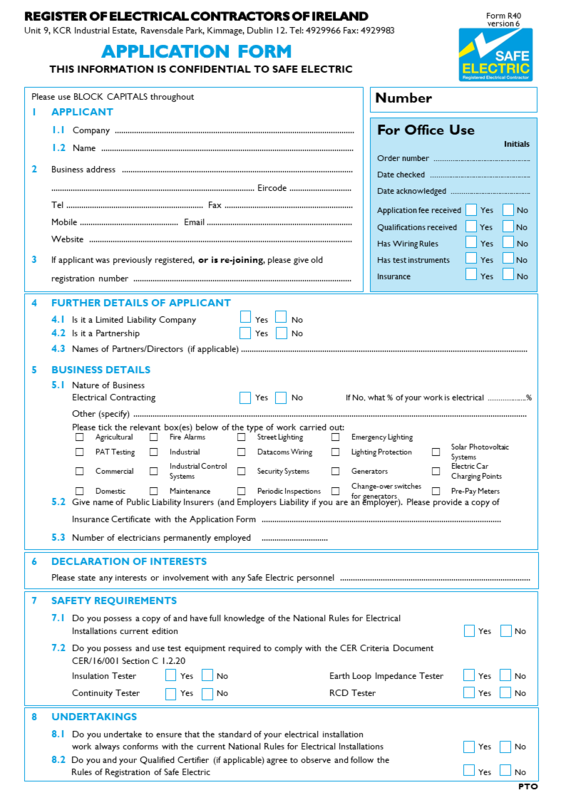 Complete Certificate of Insurance Form filled, stamped and signed by the insurance company or insurance broker. – The Public/Products Liability Policy should provide an indemnity of not less than €6,500,000. – The Employers Liability Policy (if applicable) should provide an indemnity of not less than €13,000,000. Click here to view details on required insurance. We can only process your application if all 4 documents are provided. Your application will be evaluated and decided upon within working 15 days. Safe Electric will contact you once your application has been processed. If you join during the year you will pay a pro rata fee. The payment should be made to the name of RECI (as opposed to Safe Electric). Safe Electric will carry out an inspection of one of your installations within 6 months of registration. 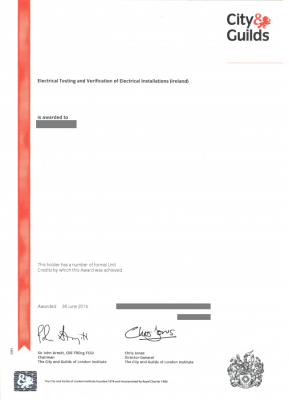 You are not authorised to self-certify your installations until a satisfactory inspection has been carried out. 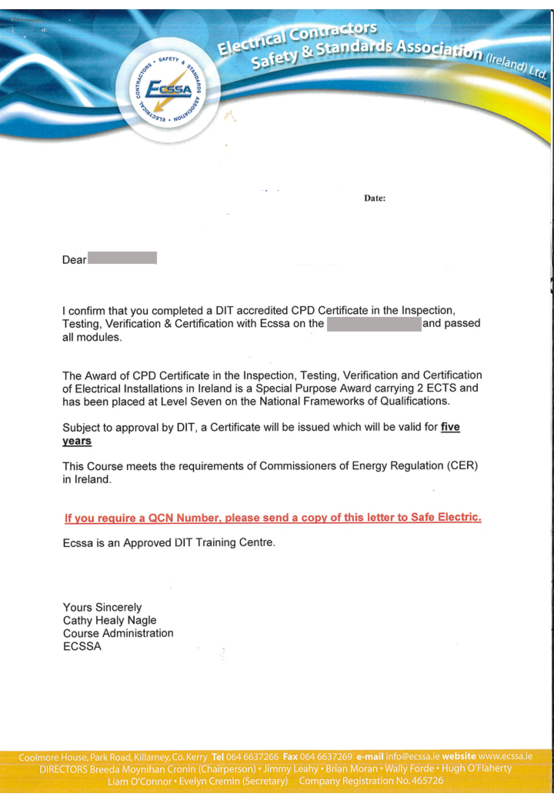 Upon successful inspection, the Safe Electric Approvals Committee will confirm your registration. After your successful first inspection you will be subject to an additional inspection within the following 6 months. 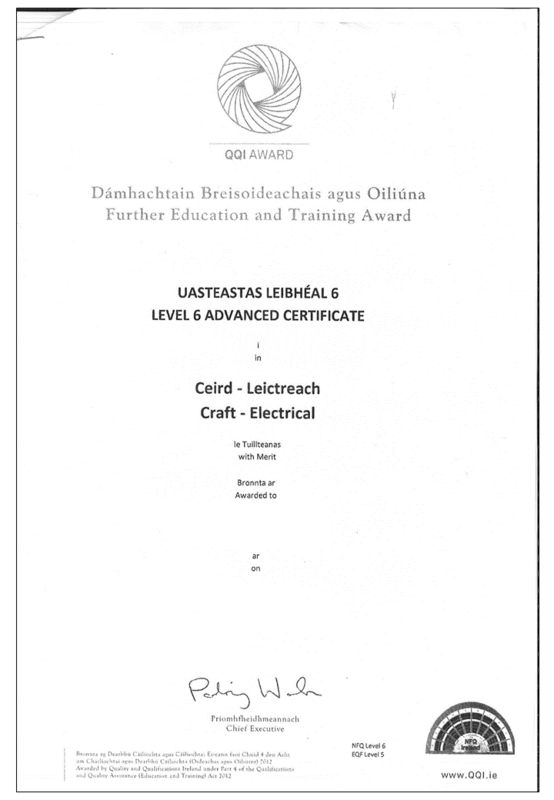 Please note: For the Application Inspection an electrical installation work must be presented. In case you are not able to present an electrical installation work for inspection within the given timeframe (6 months for the first application inspection and 6 months after the first inspection for the second application inspection) your application will be rejected. 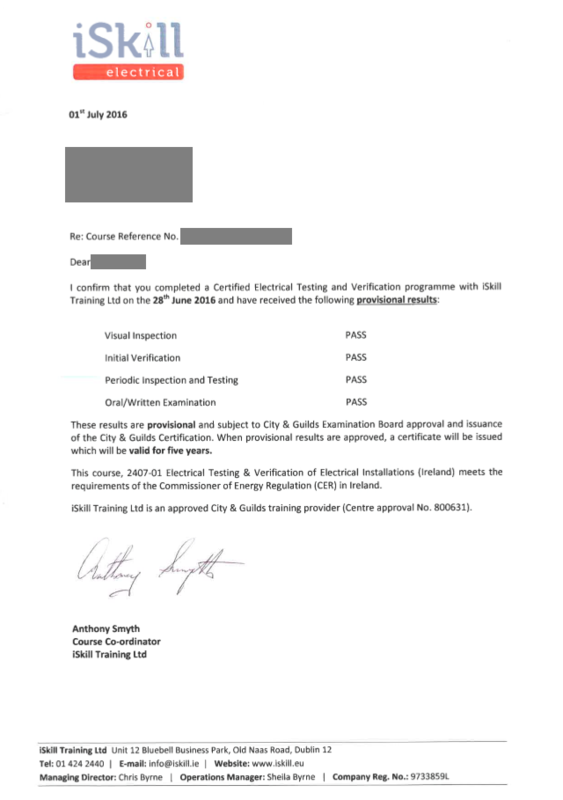 Please check out the Guideline for Inspections and Audits or Contact Us if you require more information.